The Fold n Stow. Unlike the standard plug-in kayak carts, this one breaks down in moments into just three lightweight parts – the wheels and the axle. 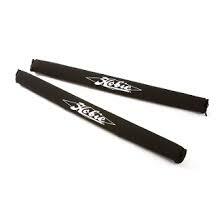 It’s just the thing for taking it with you, stashed under a hatch. It saves time and lessons the hassle factor – skip the extra marches back and forth to your vehicle. 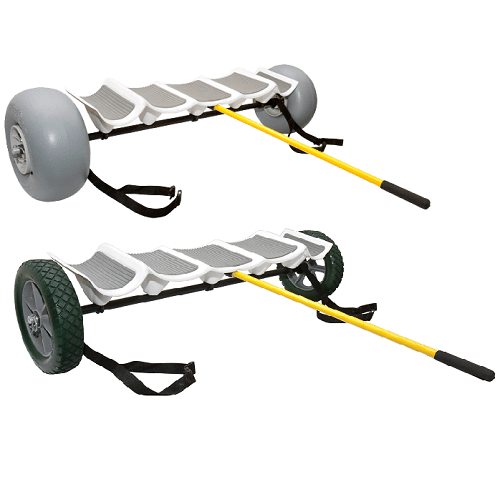 The Fold n Stow Kayak Cart supports up to 175 pounds. 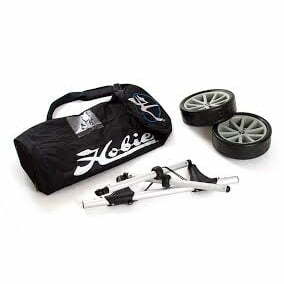 It is compatible with all Hobie kayaks except the Mirage Pro Angler 17 and the Mirage Island series.